The Silver Democrats came to label this financial crisis the Crime of 1873. Of course, they understood nothing with respect to the global economy and merely assumed that the could do as they desired domestically without any regard to international trends of implications. Up until the year 1873, all the dollars in the world were more or less the same value until the international devaluation of silver in 1873. 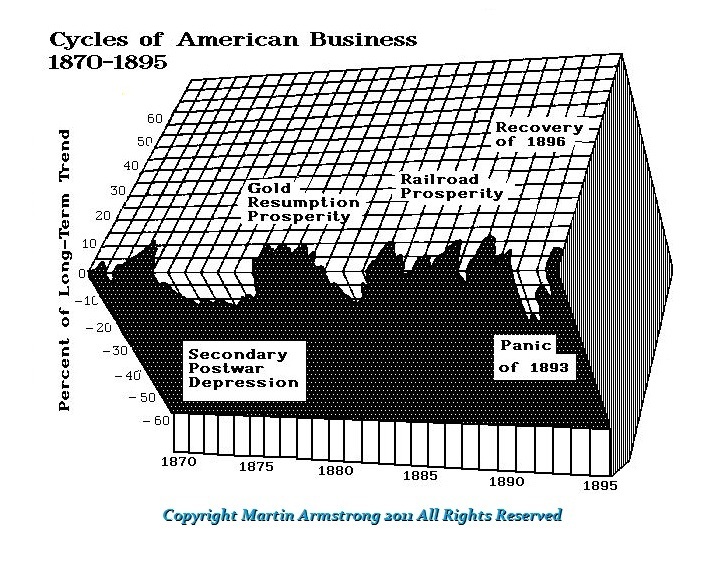 It was the Panic of 1873 that was a global financial crisis which triggered a severe international economic depression in both Europe and the United States that lasted until 1899. It was this economic depression that was known as the “Great Depression” until the 1930s. However, it has become known as the Long Depression for it lasted really until 1899 (26 years) when the historic high in US call money interest rates on the New York Stock Exchange high nearly 200%. 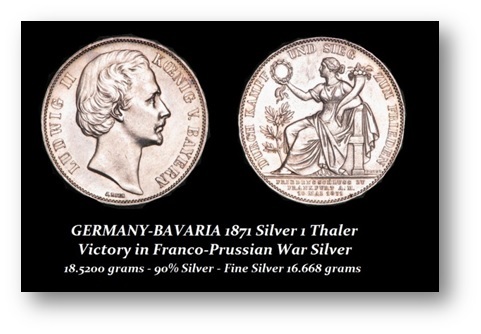 The panic was caused by the fall in demand for silver internationally, which followed the German decision to abandon the silver standard in the wake of the Franco-Prussian War (July 19th, 1870 – May 10th, 1871). Today we have the desperate threat of governments selling gold to meet bills to hold on to fleeting power. Nonetheless, this conflict was a culmination of years of tension between the two nations. The excuse became the controversy over the candidate for the vacant Spanish throne, following the deposition of Isabella II in 1868. It was a bloody war. Finally, the Germans moved on Paris. The Siege of Paris (September 19th, 1870 – January 28th, 1871) brought about the final defeat of the French Army. On January 18th, 1871 the new German Empire was proclaimed at the Palace of Versailles. It was the rapid German victory over the French that had stunned the world. Many had assumed there would be a French victory based upon past performance of Napoleon. At the very least, the majority expected a very prolonged conflict. The strategic advantages possessed by the Germans were not appreciated outside Germany until after hostilities had ceased. The decision of the German Empire to cease minting the silver thaler coins in 1871 caused a drop in demand and downward pressure on the value of silver. The cost of the war was huge and Germany could not afford to spend gold to buy silver to create coins. As always, war historically creates inflation. The ramifications resulted in a collapse in silver prices globally when Germany stopped buying silver. 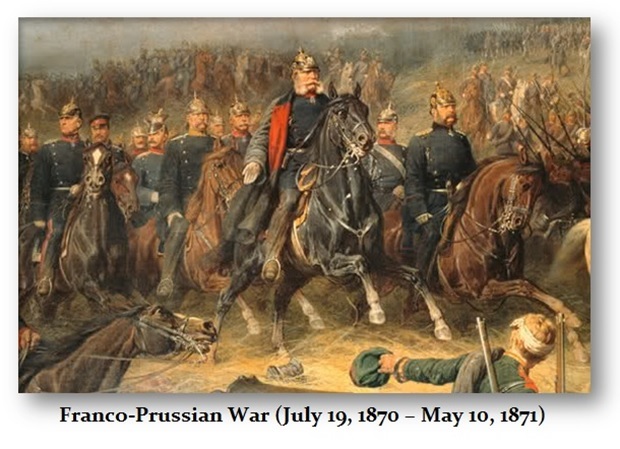 The impact of the Franco-Prussian War in causing Germany to abandon the silver standard was felt globally. This manifested in the United States where silver discoveries had made it the largest producer. You can call it money, but if a nation has no precious metal mines, then you are saying they have no money unless they FIRST buy it, but then what? This crisis where Germany had to import silver to create money became a huge paradox. How does one buy money to expand the money supply without credit? Naturally, the miners thought the game was rigged much as the rhetoric goes today and wanted a “free silver” market that they convinced themselves would result in higher prices. 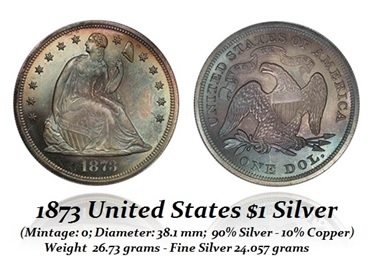 United States Coinage Act of 1873 demonetized silver, leading to the collapse of the silver dollar. 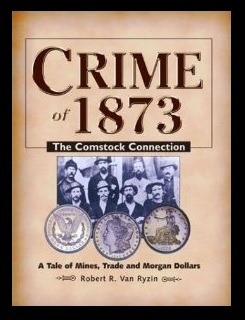 The Silver Bulls of the day were anti-gold standard and called this the Crime of 1873. 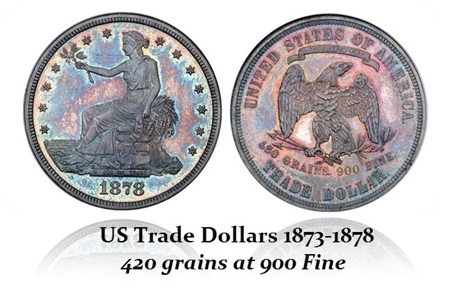 Although Trade dollars were produced from 1873-1878 to facilitate trade with China who remained on the silver standard, they were meant for circulation overseas and were not legal tender in America. The Act moved the United States to a ‘de facto’ gold standard, which meant it would no longer buy silver at a statutory price or convert silver from the public into silver coins. In response to the deflation of the period, domestic misunderstanding that the economic decline was caused by the demonetization of silver led to a political movement that called it the Crime of 1873. Congress was forced to pass the Bland-Allison Act in 1878. The Act required the U.S. government to purchase large quantities of silver and turn that into silver dollars. 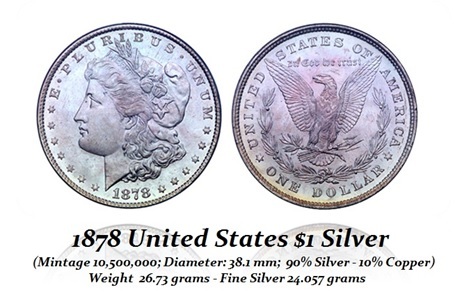 Thus, the silver dollar denomination was restored once again in the form of the Morgan dollar named after its designer, George T. Morgan. Its large size, abundant supply, has led to its popularity. Consequently, the Panic of 1873, so far as it resulted from the economic contraction, had its main origin abroad, not in America, so that its subordinate causes were generally looked upon as its sole occasion; yet these causes were important. The shocking destruction of wealth by reckless speculation, of course, had a contributing effect. During 1872 the balance of trade was strongly against the United States and with the German’s abandoning silver as legal money following the United States and Britain, silver exports also collapsed. The circulation of greenbacks helped to fund a post-Civil War boom in reconstruction and the continued expansion of railroads. The postwar economic boom expanded credit of individuals, corporations, towns, cities and States. As far too often, “conservative” investors believe wrongly that bonds are safer than equities. Hence, much of the profits and wealth was funneled into the bonds railroads in particular and to a lessor extent, mining and to a lessor extent the rising manufacturing industries. When the debt bubble burst, everything crashed and burned. In the course of the summer, cash began to be hoarded and interest rates consequently to rise. In August 1873 there was a partial corner in gold, but this was broken by a government sale of $6,000,000 worth of bullion. In September 1873 panic struck when there was the suspension of several large banking houses in New York. 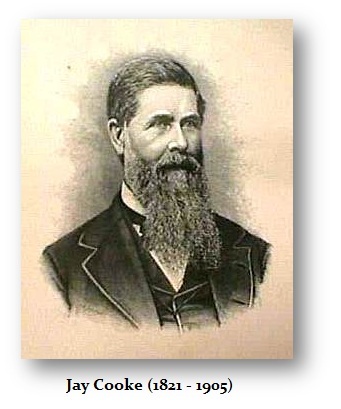 The big house to go down was Jay Cooke & CO., who had been the financier of the Government during the Civil War. 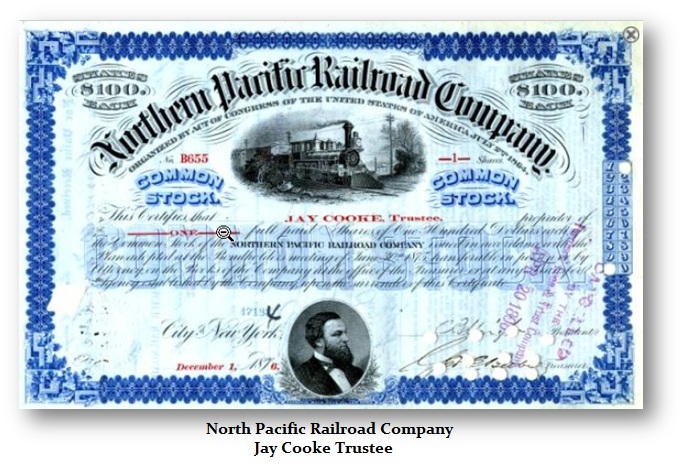 Cooke had invested heavily in the construction of the Northern Pacific Railway, which ended up suspended on September 18th, 1873. When news of this event hit the floor at the Stock Exchange, a virtual stampede of the brokers went into panic mode. They surged out of the Exchange, falling over each other in the absolute confusion. Jay Cooke was the Goldman Sachs of its day. The following day, September 19th, 1873, it was Fiske & Hatch, a very conservative firm, was also was suspended. The two highly respected firms were no more. The crowd was simply bewildered. How could this happen, was a common cry. All the brokers’ offices were filled with people frantically watching every tick. It was about 10:30AM when the Fiske & Hatch failure was announced in the Stock Exchange. There was at first utter silence; then yells and cries filled the air so loud the roar could be heard out on the street. The news of the failure ran like wildfire into the street and through the mob. September 19th, 1873 became the second Black Friday in American financial history following the Panic of 1869. Never since the original Black Friday had the Street and the Stock Exchange been so frantic when the local government had to call in the militia. The weather, dark and rainy which seems to have been appropriate given the current state of affairs. Wall, Broad and Nassau Streets were crowed with people. From the corner of Wall Street and Broadway down to the corner of Hanover Street, there was just one huge herd of people. At the corner of Broad Street and Exchange Place a delirious crowd of money-lenders and borrowers collected and tried to fix a rate for loans. The matter hung in the balance for some time until the extent of the panic became known. They bid until the price of money touched one-half of one per cent. a day and legal interest. Early in the panic some brokers began to sell short the railroad stocks. Many fell between 10% and 40% percent in a single day. The best names all went down, “New York Central,” “Erie,” “Wabash,” “Northwestern,” “Rock Island,” and “Western Union.” The Bulls were scrambling to borrow for margins, which their principles would not or could not put up adding to the panic. Many turned to the banks, only to be turned away. Typically, banks would certify checks for huge amounts in favor of brokers understanding that by three O’clock the broker would hand in enough cash or securities to cancel his debt. In the midst of this Panic, the banks now refused this accommodation. In the Exchange, eighteen names were read off of brokers who could not fulfill their contracts. Now brokerage houses were failing. Despite the pouring rainy, hundreds still gathered to listen to the chaos. Many hoped that it was now finish as night befell upon Wall Street. The New York Stock Exchange did not open for Saturday, September 20th, and did not reopen until the 30th of September. Never had the stock market close for 10 days – not even during war. 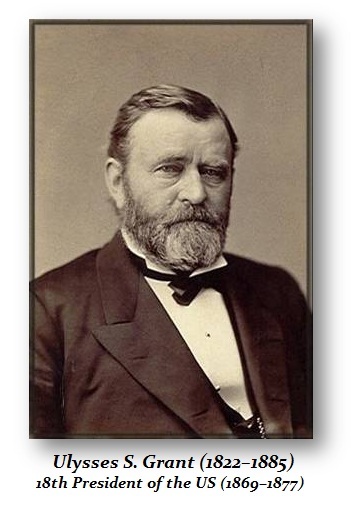 On Sunday morning, September 21st, 1873, President Grant and Secretary Richardson, of the Treasury, went to New York, spending the day in anxious consultation with Vanderbilt, Clews, and other prominent business men. Many now blamed the Secretary of the Treasury Richardson arguing that he vacillated when he should have provided instant cash. In all, some $13,500,000 in five-twenty bonds were bought, and a few millions of the greenbacks which Secretary McCulloch had called in for cancellation were set in motion to inject cash into the system. Treasurer Richardson, beyond that, did not announce any policy of ongoing assistance. The cash was simply hoarded for that is always the cash during such contractions. On the September 25th, 1873, the U.S. Treasury ceased buying bonds to inject cash that was not stimulating anything but hoarding. 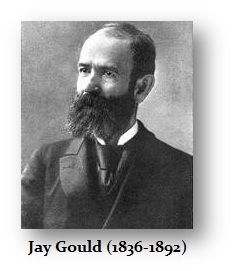 It was at this moment when Jay Gould, who was involved in creating the first Black Friday during the Panic of 1869, stepped up to buy. He bought during the low prices several hundred thousand shares of railroad stocks, principally of the Vanderbilt stripe, and in this way when people saw who was buying, confidence began to return marginally but the panic was subsiding. 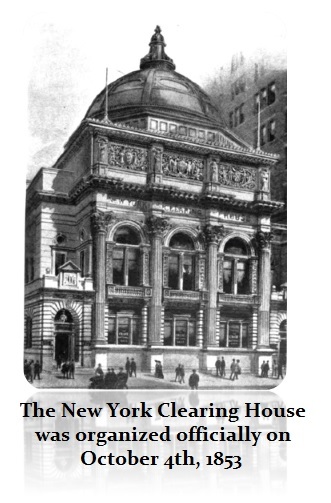 The national banks of New York pooled their cash and collateral into a common fund, and placed this in the hands of a trust committee at the New York Clearing House, which had been founded on October 4th, 1853. The New York Clearing House then issued loan certificates that were receivable at the Clearing-house against this collateral. These certificates were absorbed like cash and could be used to pay off debit balances. Ten million dollars’ worth of these certificates was issued at first, but the sum subsequently doubled. This Clearing-house paper served its purpose admirably. The Clearing House Scrip was used for most panics and tends to be rare for they were normally traded in. As panics persisted, the scrip would be issued in smaller denominations as was the case from the Panic of 1907 and the Great Depression. This provided the backdrop for the idea of the Federal Reserve later in 1913. 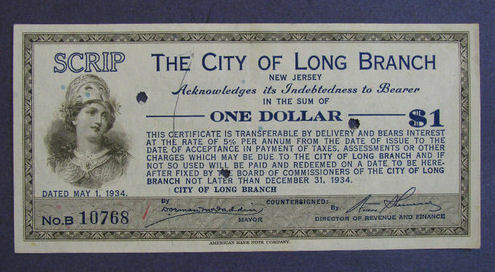 However, more than 200 cities followed suit during the Great Depression issuing their own scrip for local money when it was scarce due to hoarding. As with every panic, banks push creditors to repay loans and depositors fearing banks withdraw their deposits. This cycle results in falling asset values in real estate to equities when credit contracts. Even United States bonds went down from five to ten per cent. As consumers hoard cash and spend less, then factories begin to layoff workers. In this case, the Panic of 1873 produced a long depression which lasted into 1875 with little upside-bounce.